Are you looking for a product that will help you to fight sunburn, dry skin, and aging? Then you're in for a treat! 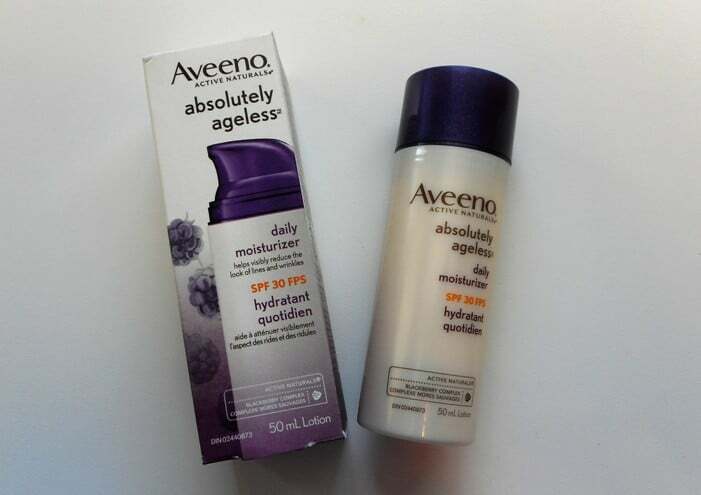 Today we are reviewing the Aveeno Absolutely Ageless Daily Moisturizer with Sunscreen that promises to do all that! We will be walking you through the pros and cons of this product to help you decide if it is the spf moisturizer for you! With every different product, there are particular details that set them apart. So taking this into consideration, I wanted to break them down into a few categories. It will hopefully make it a little easier to compare the details to other products! And then I will also break it down to the individual features and benefits later on in this post. Affordability: I would consider this a little bit more on the expensive side. The other Aveeno products tend to be a little cheaper. But since this has even more benefits and the anti-aging properties, it ended up being a higher price. Either way it is definitely affordable enough and it will last you longer than you would think. A little bit goes a long way! How to Use: This is something you would use in the morning for moisturization and the anti-aging properties of this product. If you are planning to go out in the sun you should apply generously 15 minutes before sun exposure. After that you will need to reapply about every 2 hours to ensure proper protection. Type of Skin: This is perfect for mature skin that needs toning. It promotes firmness and elasticity. I don’t really have mature skin yet, but I would use this to hydrate and moisturize my skin and slow aging. I’m already starting to see where my lines are going to be so I want to moisturize more. I’m hoping this will be a good way to put wrinkles off as long as I can! Multiple Skin Benefits: The anti-aging ingredients of this product keep your skin looking young and healthy. It helps with toning, firming, and promoting elasticity. That will help treat and visibly reduce fine lines, dark spots, crows feet, and more. Like I said before, I don’t really have any wrinkles yet. All the women in my family seem to have pretty good skin. But they all moisturize consistently and it’s definitely time for me to follow in their footsteps! On top of all these benefits, it also contains SPF 30 sunscreen to protect your skin from the sun and maintain healthy, happy skin. Scent: The Absolutely Ageless sunscreen and moisturizer contains Active Naturals Blackberry Complex. I’ve never heard of it before but it plays a big part of the anti-aging serum included in this product. It is full of vitamins and antioxidants to keep your skin healthy. It also contributes a soft rose-petal scent that so many customers seem to love! It isn’t too strong and fades quickly so you can use any perfume with it and not smell like a walking cloud of chemicals. Drawbacks: The main drawback I could find with this product is the fact that it will not hold up as a sunblock if you are sweating or swimming. It is not water resistant. This isn’t exactly the sunscreen you take to the beach. It is meant for a day out on the town or a relaxing day at home in the backyard. You can use it while being active, but it is recommended that you also use something that is water resistant if swimming. I would definitely recommend this to anyone who wants an anti-aging cream packed full of extra benefits! They have a whole line of Absolutely Ageless products for daytime and nighttime. This one is perfect if you spend time outdoors and need sun protection. Or if you have mature skin and want to reduce fine lines and dark spots. One big problem that pretty much everyone has is fine lines and over time they can turn into wrinkles. It’s caused by aging and it is pretty inevitable. The reason you get lines and wrinkles is when your skin becomes thinner, dryer, and loses elasticity over time. The best way to keep your skin healthy and youthful is by moisturizing and toning consistently. This is just the product for that! I wouldn’t recommend this for anyone who wants something that they can use while being very active. You could still use this in your morning routine. But if you are going to be sweating or swimming, this sun protection will wash away easily. So you’ll need something water resistant in either of those situations. This moisturizer will work regardless, so you could still use this in your morning routine. But you will definitely need to have something else on hand as well! Another reason you may not want this product is if you have very sensitive skin. It is hypoallergenic but some people seemed to have issues regardless. None of them mentioned the reason they thought they might have a reaction, as far as ingredients go. But I would recommend checking the ingredient list and determining whether this is right for you. 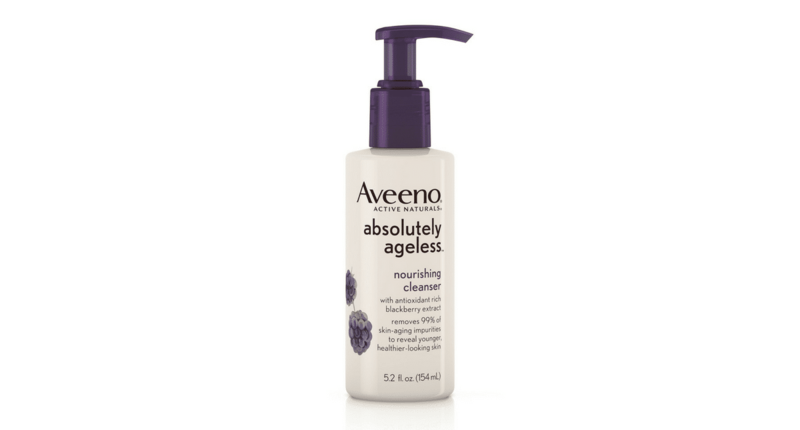 Aveeno Absolutely Ageless is a wonderful anti-aging moisturizer that will keep your skin looking young and healthy. It has added broad spectrum SPF 30 to protect your skin from future damage. Although this sunscreen is not water resistant and will need to be reapplied every two hours like any others. It comes in only a 1.7 oz pump container. That seems very small to me for the price, but the customers say you don’t even need a full pump to cover your face. So a little bit should go a long way! This Aveeno moisturizer contributes to young and healthy skin by visibly reducing acne, fine lines, wrinkles, and dark spots. It also improves skin’s firmness and elasticity. Unlike many other moisturizers, it’s a thin and creamy consistency and won’t make your skin greasy or sticky because it absorbs so quickly! Now I want to break down all the specific benefits of this product. I can understand if you’re unsure about whether this is the right product for you. But I’m hoping that if you can see a complete breakdown you’ll figure out whether this is the right product for you or not! 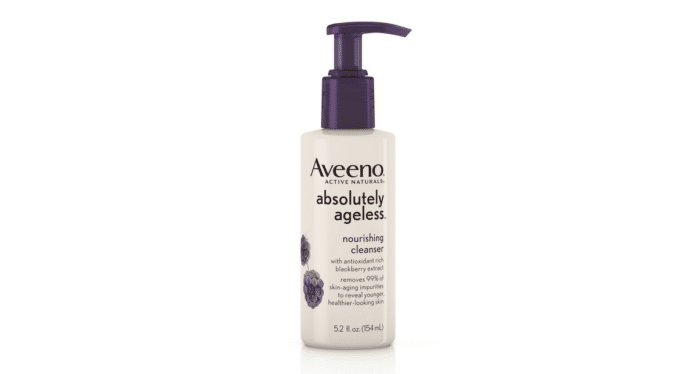 Aveeno Absolutely Ageless is an anti-aging skin care product. Infuse with Active Naturals Blackberry Complex. It is full of vitamins and antioxidants that will keep your skin looking and feeling young and healthy! It visibly reduces fine lines, wrinkles, acne, dark spots, and more! It’s a lot to promise in one product. But it treats the kind of problems that everyone has as they age! This is so great for mature skin because it improves your skin’s firmness and elasticity! The reason your skin gets lines and wrinkles is because it gets thinner and loses elasticity over time. You can use this to keep your skin moisturized and soft. While this may be a small container, you won’t even need a full pump to cover your entire face! It is such a thin and creamy consistency that it will spread in a smooth and even layer. So a little bit goes a long way with this product! Not only will it spread on your skin easily, but it absorbs quickly! This might not seem like much of a perk, but that keeps it from making your skin greasy or sticky. I like this in a moisturizer because I don’t want greasy skin for the rest of the day that will make my hair greasy too. It has a pleasant rose petal scent that most people love. It is so light and flowery that it’s hard to dislike. It’s isn’t a strong scent and it will fade quickly. If you put this on in the morning, the scent should be completely gone in an hour or so. I personally like that because I love wearing perfume. So when moisturizers or hair products have strong scents that last all day there is no point in wearing a perfume that will clash. This product not only heals damage already done to your skin, but it prevents future damage as well. It contains broad spectrum SPF 30 to protect your skin from the sun’s harmful rays. Last of all, this is a small container. It might seem like a con, but it makes it the perfect thing to bring with you on the go! Considering you might have to apply this every 2 hours, it’s really nice that you can pop it in your purse and go. Customers really enjoyed this product because it is has so many benefits. A lot more people are willing to try it because it is hypoallergenic. This is one problem my sister runs into often. She can’t use a lot of skin care products because they can give her a rash. It can be difficult for her or anyone who wants to get her something. She really has no idea whether something will work for her until she tries it. I remember when she found out the hard way that products that were high in Salicylic Acid weren’t her friend. But this is something she could try out and have a better chance of being able to use it long term. They also enjoyed the bonus of being able to use this as both a moisturizer and a sunscreen. Before working on this list of the 10 Best Moisturizers with SPF Options for 2018, I had no idea they were even an option! Considering I haven’t taken great care of my skin growing up, I’d like to do better from here on out. So using something like this would enable me to take care of my skin in multiple ways with one product! I know that everyone isn’t going to want this particular product. Some people won’t like the price, others might not trust it with their sensitive skin. Whatever the reason might be, never fear! It seems like for every product there are a thousand options. And out of all of those options we narrowed it down to our top 10. So here are 3 alternative products from our top 10 products that you might like instead! I wanted to start out with a more affordable option. This product by Neutrogena is a long lasting moisturizer that also doubles as a sunscreen. The broad spectrum SPF 35 will give you the skin protection you need to keep from causing future damage to damaging your skin. 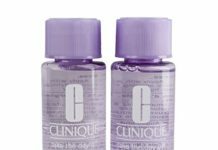 It is an oil-free moisturizer that absorbs quickly and won’t make you look greasy. It’s a lightweight creamy product that goes on even and sheer. All of which contribute to younger softer skin! If you are on the market for a more affordable product, I think you’ll like this one. It is half the price of Aveeno Absolutely Ageless. If you aren’t worried about getting an anti-aging product, this is perfect. It will give you around the same level of broad spectrum SPF 35. As well as being an excellent moisturizer. I like these oil-free moisturizers because I don’t ever want to go through the day with greasy looking skin. I have combination skin and this is perfect because it will battle any dryness I get in the wintertime, while also fighting the oiliness that results in the summer. Overall, Neutrogena has always been a fantastic brand. I have used everything from their anti-residue shampoo to their makeup or facial cleansers. They have honestly never let me down and I really expect this product is no different. But if you have been on the lookout for a very affordable oil-free moisturizer I think you might really like this one! If you’re interested in Neutrogena Oil-Free Moisture with Broad Spectrum SPF 35 you can find it for a great price on Amazon! If you are definitely interested in an anti-aging moisturizer, this is another one you might be interested in! You get the same amount for a slightly higher price, but this is a 7-in-1 product packed full of skin benefits. This is another trusted brand that so many people love. The nourishing moisturizer gives you smooth and even skin texture, minimizes pores, and gives your skin a healthy looking radiance. It also reduces the appearance of age spots, fine lines, and wrinkles, and balances your skin tone. It even exfoliates to enhance your skin’s natural self-renewal process. While this might not be the cheapest moisturizer, I’d say it’s worth the money. It is anti-aging, moisturizing, and contains broad spectrum SPF 30 to protect you from further skin damage! It improves the texture of your skin, minimizes your pores, and exfoliates to improve your skin’s natural self renewal. So not only does it take care for your skin, but it also helps your skin take care of itself. If you’re interested in something like this, you can find Olay Total Effects 7-in-1 Anti-aging Face Moisturizer with SPF on Amazon! This is another very affordable moisturizer with SPF 30. But the best part is that you get double the product for the cheaper price. It is also oil-free and a fantastic brand that made it on our list several times! Enriched with antioxidants and vitamins, this will refresh your stressed skin. It is hypoallergenic and good for sensitive skin, as well as being non-comedogenic so it will not clog your pores. It actually has the added ingredient of Southernwood extract so it will protect your skin from pollutants and fortify the moisture barrier. After using this your skin will be soft, smooth, and deep conditioned! I would definitely try this product myself. I touch my face way too much, so having something that creates an added barrier for pollutants sounds fantastic. You get a little bit more for a lower price. 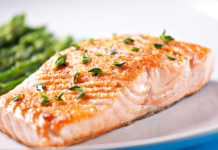 It contains vitamins and antioxidants to improve the health of your skin. I also could use this all year round, which is what I always want in a product. It is oil-free, so I can use it during the summer when I tend to have oily skin. Then I can use it in the wintertime to help my poor dry skin make it through the cold, dry weather! Here we have two different products from the same brand. Each has its perks. 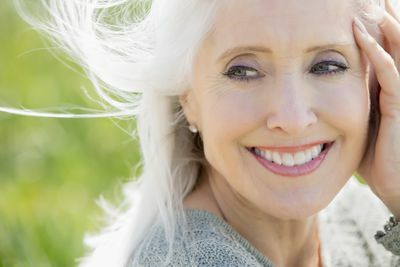 But if you aren’t looking for an anti-aging moisturizer Smart Essentials might be better for you. It is enriched with antioxidants and vitamins to refresh your stressed skin, it protects your skin from UVA and UVB rays and pollutants. Not to mention it’s more affordable merely because it isn’t an anti-aging moisturizer. Either way they are both fantastic products. But if you’re more interested in Aveeno Smart Essentials Daily Nourishing Moisturizer, you can find it on Amazon for a reasonable price! 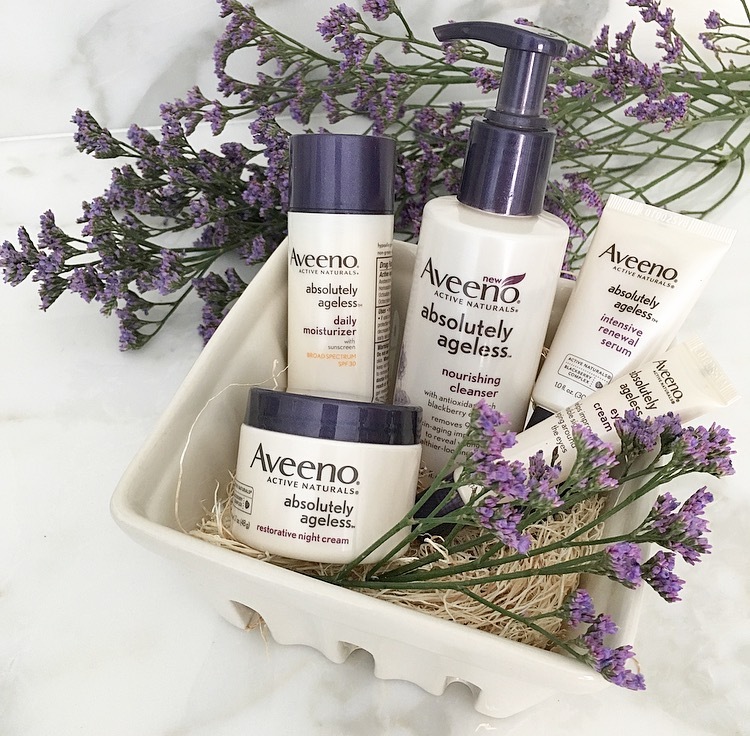 Aveeno Absolutely Ageless is a wonderful skin care product. It is a fantastic thin and creamy consistency that absorbs quickly into your skin. There are so many benefits packed into this one little product that it actually surprised me. All you have to do is use this on a daily basis to keep your skin looking and feeling young and healthy! You can visibly reduce fine line and wrinkles, improve your skin’s firmness and elasticity, and protect your skin from the sun with broad spectrum SPF. Considering I have never been very consistent when it comes to moisturizing my skin, I like the idea of adding this product to my routine. I’m protected in the sun, I can reduce signs of aging from an early age, and it will ever help with my occasional acne. In the end I feel like there are really just a few things that I have to take into consideration before I buy this. The main thing is the price. For something that is this price I think I would personally want a water resistant product. I have a hard time justifying buying a product at this price just for my face normally. I can understand why other people might have the same problem. However, the fact that this has so many benefits and I want to get into a better routine makes it worth it for me. 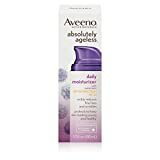 If you think it’s worth the price as well for all the wonderful benefits, you can find Aveeno Absolutely Ageless Daily Moisturizer with Sunscreen on Amazon! For even more information, check out the rest of our spf moisturizer reviews!